The video features secret camera footage from a dozen Whole Foods stores in the Los Angeles area, capturing Whole Foods employees lying on camera about the genetically engineered ingredients found in products sold at Whole Foods. “It’s against our policy to carry anything that’s grown with GMOs in it,” says one employee, caught on camera. This statement is, of course, patently absurd. Even I’ve noticed all kinds of additives and preservatives in products sold at Whole Foods. And GMOs are found throughout the store, including in many so-called “natural” products that are actually made with GM corn. In fact, Natural News just revealed a list of the top 10 breakfast cereals most likely to contain GMOs… and some of them are sold at Whole Foods. According to the undercover video, Whole Foods has “mastered the art of bait and switch” by advertising their foods as organic and non-GMO, then inundating customers with foods labeled “natural” which actually contain genetically engineered ingredients and pesticide residues. Whole Foods has not offered any rebuttal of this to NaturalNews. 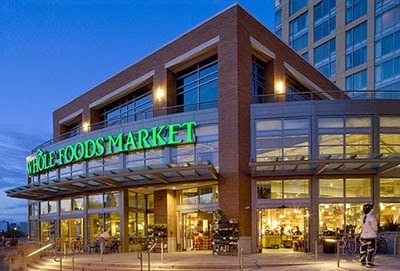 I personally offered to interview Whole Foods executives at their headquarters in Austin, Texas, earlier this year, but was told by the Whole Foods public relations team that their executives were “too busy” to meet with the editor of a website that ONLY reaches as many as five million readers a month! Too busy doing what, you ask? Cashing checks, of course! Whole Foods CEOs are multi-millionaires and yet they have not individually nor as a company done anything meaningful to support Proposition 37, the all-important GMO labeling bill in California. The video specifically calls out Whole Foods executives Jack Mackey, Walter Robb and Margaret Wittenberg for essentially selling out their own customers. The full video is embedded at the bottom of this article. Whole Foods = SELLOUT to Monsanto? As this video shows, there is no question that Whole Foods is, through its product sales, financially supporting Monsanto, DuPont and the GMO (biotech) industry. It’s also clear that many Whole Foods employees are totally clueless about the truth that Whole Foods carries GMO products in its stores. Personally, I still hold out hope for Whole Foods, and I want them to do the right thing because they’re still far better than most conventional grocery stores. I agree with the video when it says Whole Foods needs to immediately donate $10 million to Proposition 37 and get fully behind GMO labeling. I say this on the record, in public view, that any natural products organization which does NOT support Proposition 37 is a traitor to consumers and will be exposed as such by the independent online media. Natural News readers have made it crystal clear to us that they strongly advocate our continued exposing of GMO brands such as Larabar, Kashi and Silk. They want us to tell the truth about GMOs, and they want us to organize grassroots support for action items such as boycotts and petitions. And to those companies who keep hiding GMOs in their products, I ask you this simple question: Why continue to punish yourselves? You know this issue isn’t going away, right? The sooner you come out and DENOUNCE GMOs, the sooner you save your brand and restore customer trust. But the longer you play this deceptive game of hiding GMOs in your foods, the more dishonest, deceptive and downright unethical you appear to everyone. The tipping point on GMOs is here. You either get with the non-GMO program, or you risk being exposed by Natural News and other independent bloggers and websites. You cannot hide your GMOs. The truth is coming out. Wake up and smell the rooibos tea, okay? I am just astonished that the CEOs of Whole Foods are right now betraying the very customers they claim to serve! Call it “corporate suicide,” if you will, but if Whole Foods doesn’t get behind Prop 37 real soon now, it’s going to be facing a massive backlash of anger and very likely a national boycott from informed consumers. Whole Foods has backpedaled on the GMO issue for far too long, knowingly selling a huge array of products made with Monsanto’s genetically engineered corn while pushing a public image that tricks many people — including their own employees — into thinking that Whole Foods is GMO-free. This is unethical, dishonest and flatly unacceptable in an industry where integrity is supposed to matter. This deception must end. Whole Foods must either come clean and support GMO labeling or face an eternal backlash from angry, betrayed customers who are waking up to this issue by the hour, it seems. When voting day arrives in early November, if Whole Foods hasn’t donated some serious cash in support of Proposition 37, I predict there will be an impassioned grassroots call for a nationwide boycott against all Whole Foods stores (as well as any brand that opposed Prop 37). “Tell the truth,” a public relations innovator once declared. “Because sooner or later people will find out on their own.” And when they do, there’s hell to pay for it. When the truth about GMOs and cancer tumors really becomes public knowledge, how exactly do you think consumers are going to react when they realize they been POISONED by these GMO retailers? The other shocking truth is that Whole Foods and Monsanto are both on the same side of Proposition 37. Personally, I find Whole Foods management to reflect a culture of extreme arrogance and dissociation from the values of its customers and employees. With new research now showing rats suffering horrifying cancer tumors after eating a lifetime of GM corn, Whole Foods not only keeps selling the same exact corn to its human customers, but the company even refuses to label it!